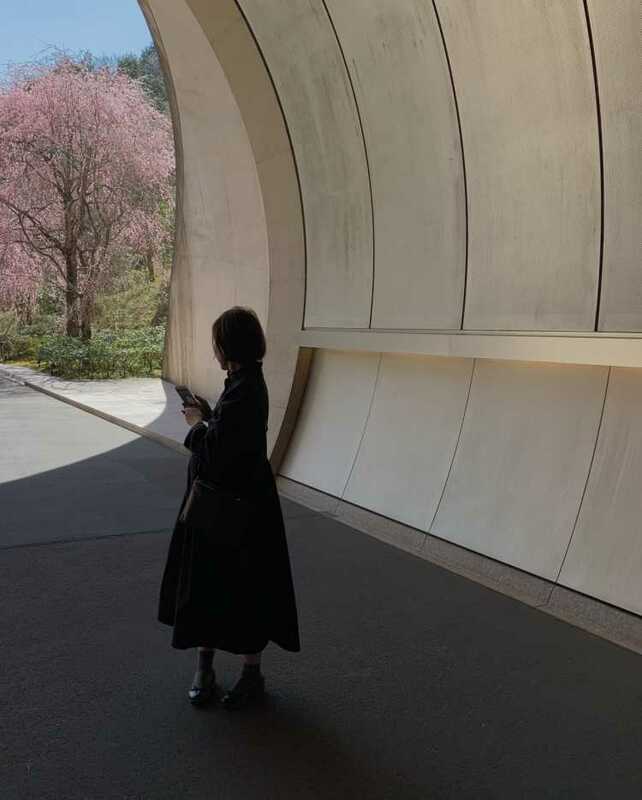 MIHO MUSEUM was designed by a world-famous architect, Ieoh Ming Pei. There're a tunnel and approach to a suspension bridge where LOUIS VUITTON had its collection show in 2017. 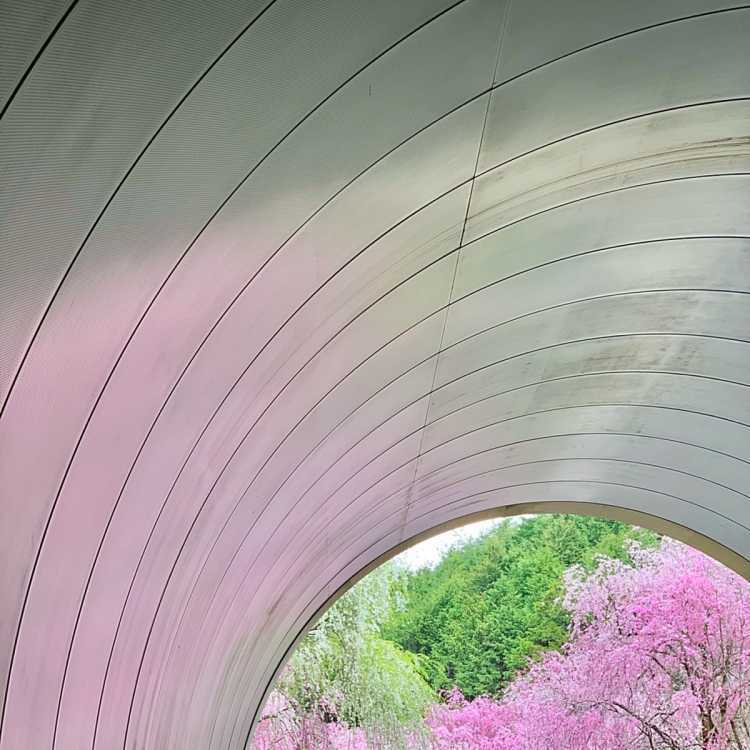 We can see this scenery with cherry blossom in this season. 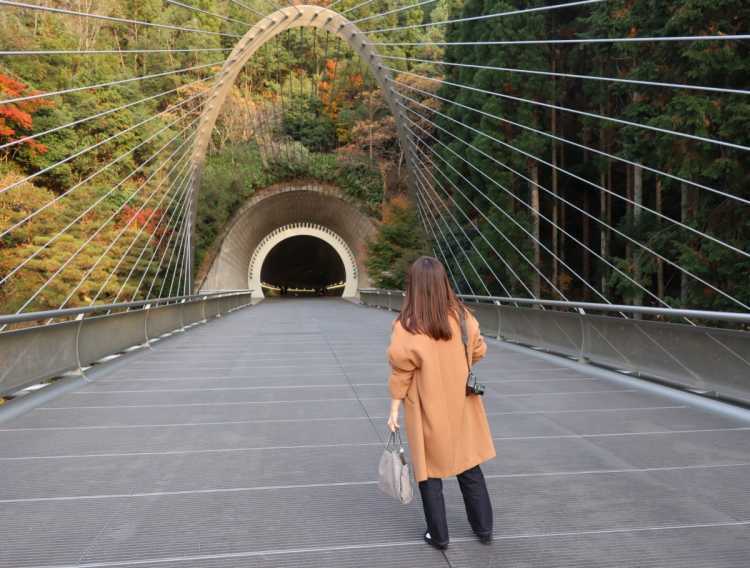 MIHO MUSEUM is famous for Light Tunnel, and over the tunnel, we can find this big suspension bridge. The mountains are covered with autumn colored leaves and beautifully lighted by the evening sun. I like the feeling of tunnel swallowing us up.